The American Academy of Pediatrics states that exposure to the sun is a danger to babies under 6 months. They recommend that infants under 6 months be kept out of the sun completely. 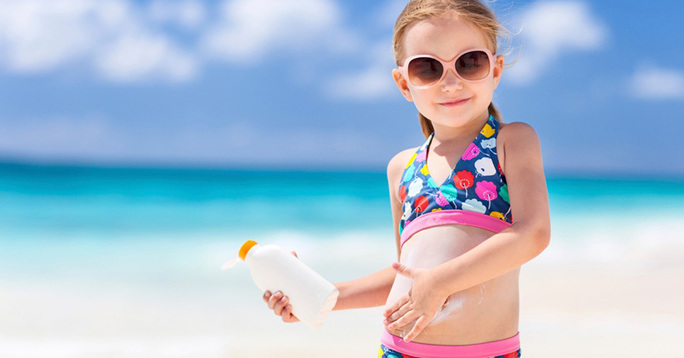 This mineral-based sunscreen California Baby SPF 18 Sensitive Skin Sunscreen can be used year-round to protect babies from the damaging UVB and UVA rays the sun emits. 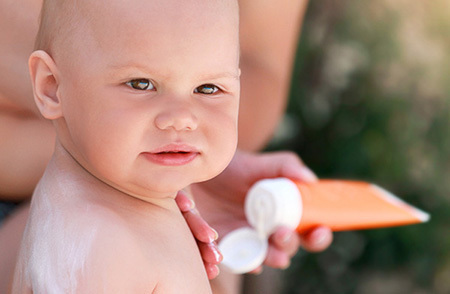 Sunscreen isn’t just for adults, if anything babies need it even more. Most sunscreens are just a cocktail of synthetic chemicals and toxins, not good for baby’s skin. My son is 2 1/2 years old and has never had much fun at the pool because we could not find a sunscreen that did not irritate his eyes. We tried California Baby this summer and MAGIC happened–no irritated eyes, no runny nose and it is actually water resistant, which I have not been able to find as a characteristic with other sensitive skin sunscreens. He is having a great summer because he can enjoy being outside without being bothered by his sunscreen. I am SO THANKFUL that I found your product–I will be a customer for many years!! Thank you for developing such a great products! Thank you, thank you for making such a wonderful product! G. R.
The customer reviews for not only the sunscreen made by California Baby are all raves, but their reviews for all their safe and organic products too. Customers with babies that have ultra sensitive skin are able to use this sunscreen to keep their babies’ skin safe from harmful sun rays. How awesome! – great for adults too! 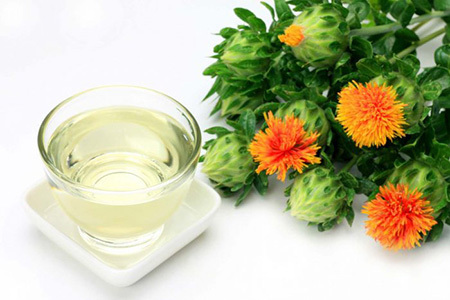 titanium dioxide, glycerin, safflower olesomes, coco caprylate, tapioca starch, squalene, magnesium stearate, coconut oil, levulinic acid, allantoin, glyceryl caprylate and capryl hydroxamic acid. We couldn’t help but give this product a rave review ourselves. It checks all our boxes for safe baby sun protection and more. I love that it can double as a light facial adult moisturizer with sun protection for sneaky overcast days.